Now,There is no need to call the customer care for activating the hello tunes on airtel mobile. 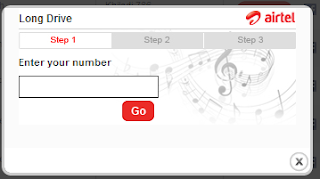 airtel provides the facility to activate the hello tunes online on your mobile in few clicks. 1. Visit the airtel website. Click on "Click Here" link in front of "search, listen and set your favorite songs" in hellotunes section. 2. Now below screen will come. 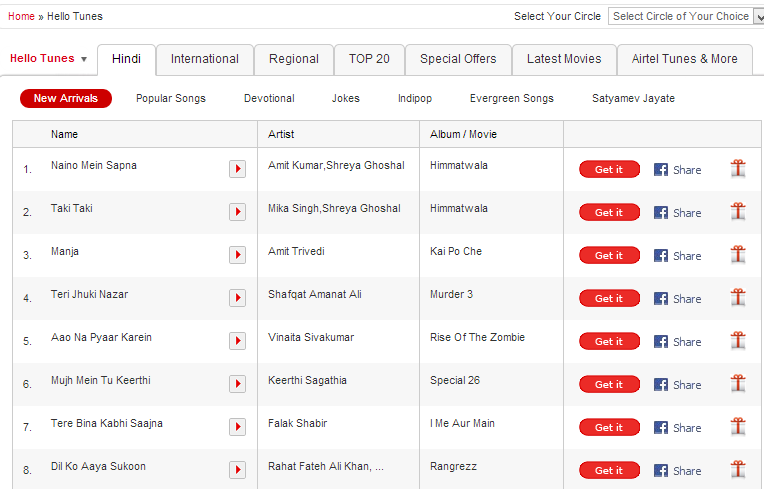 select your circle, according to your choice select the hello tunes english/hindi, popular, new arrivals etc. 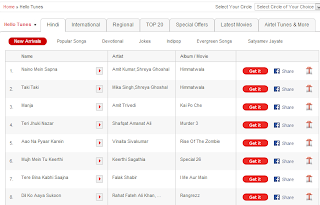 you can also select the songs that has "Special offers" or that are in Top 10. Now click on "Get it" button in front of your selected song. 3. Below screen will come after this. 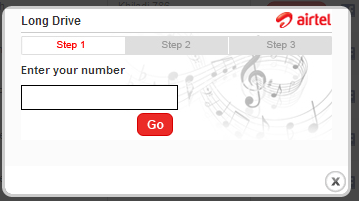 Enter your airtel mobile number and click on "Go" button. 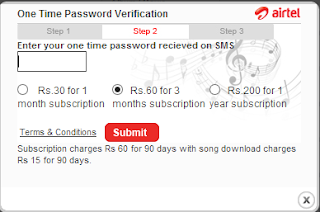 airtel will send you a one time password on your mobile. 4. Now, below screen will come. Enter the "one time password" you got on your airtel mobile. and follow the steps given in next screen. Finally your hello tunes get activated successfully.